- One Prime Core Chip will be obtainable by collecting 5,000 Prime Core Shards. Every Prime Core Chip guarantees a new Prime Core - no duplicates! - Combine 1000 Premium Shards into one Premium Crystal. The Amalgamous Prime Core will be released together with this event. 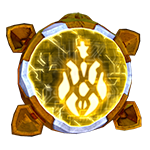 Amalgamous Prime - While in alt mode, increases all damage dealt by the equipped bot (including abilities) and restores health every 0.5 seconds.